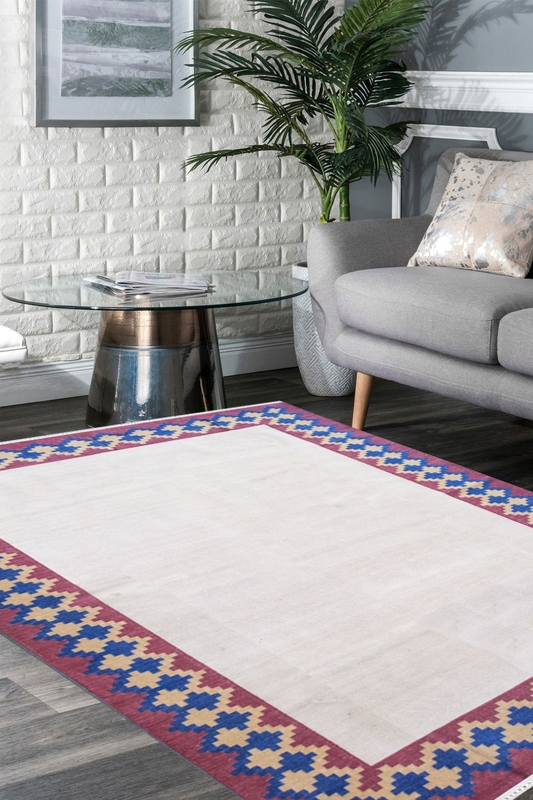 Find a reason to invite the people in your home by placing this gorgeous Dual Diamond border Flat-Woven Dhurrie in your home. It is made in pure cotton with a modern plain design. It is reversible dhurrie. The perfect combination of blue and deep pink and cream color, it is made in pure cotton material. The warp is in cotton and weft is in also cotton. It is handcrafted on a handloom with our skilled weavers. This dhurrie is specially made of adding a calm and comfortable touch to décor. It has a plain ground with diamond zig-zag motifs. It is 100% hand washable and reversible dhurrie. Perfect size dhurrie for a dining room, bedroom, and a living room as well.